A while ago I was contacted by the Department of Justice and asked if I would be interested in facilitating a knitting group for women under Community Service Orders. The aim was to introduce the women to knitting and once they had grasped the necessary skills, we would knit squares to donate to the Save The Children Born to Knit Programme. 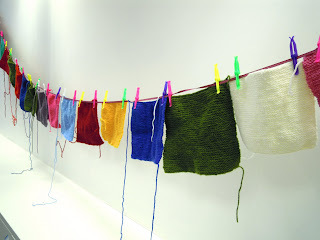 The group commenced in July this year, with most of the women having never knitted before. By the end of September, we had knitted up approximately 20 squares, with many of the women vowing to continue knitting as a hobby. It was great fun and fantastic to be part of such a worthy cause. The Department is now hoping to continue the programme into next year. Fingers crossed!